Inhalants include any drug that produces volatile vapors that are inhaled by the user. Overdose of inhalants may occur, and the recovery from inhalant overdose often requires medical supervision due to the potentially life-threatening effects. Learn more about the best inpatient inhalant recovery center for you by calling today. Aliphatic hydrocarbons are generally petroleum products, such as butane, gasoline, kerosene and propane. Aromatic hydrocarbons include industrial chemicals such as toluene and xylene. Haloalkanes include many aerosols and propellants, such as chlorofluorocarbon, hydrofluorocarbons, trichloroethylene and 1,1,1-Trichloroethane. Acetone is a common inhalant found in nail polish remover. Nitrites include nitrous oxide, which is commonly used in dentistry as a general anesthesia, while amyl nitrite is a recreational drug that’s typically inhaled. Hypoxia can occur when an inhalant is used in a closed room with insufficient ventilation, resulting in a lack of oxygen. Gases stored under pressure cool when they are released, which can cause frostbite when they are inhaled directly from the containers. Aspiration of vomit often occurs when the user loses consciousness while using an inhalant. Many inhalants cause cardiac failure and pneumonia and can also explode or catch fire, especially if a user is smoking at the same time. Inhalant users can harm themselves while under the influence of the drug, often by driving after using. The signs of inhalant abuse include a chemical odor on the user’s breath and solvent residue on the user’s clothing. Inhalant users often have a rash on their mouths and noses. You can stop using inhalants, and make the transition to a sober lifestyle by calling and discussing inhalant overdose rehab and treatment options. An inhalant overdose recovery center is typically the best option for obtaining treatment. Chronic abusers of inhalants often have severe psychological problems that make successful recoveries difficult without professional assistance. Recovery centers for inhalant users typically combine detoxification with psychological therapy. The detox phase for the treatment of inhalant abuse may be similar to that of other drugs, although it often requires more time. Many inhalants accumulate in the body fat, which means they can take weeks to leave the body. Other types of drugs may require a detox phase of only a few days. The detox phase should take place in a residential facility to ensure the withdrawal symptoms don’t become life-threatening. During psychological therapy, the therapist should constantly reassess the patient’s mental condition for improvement as the recovery progresses. 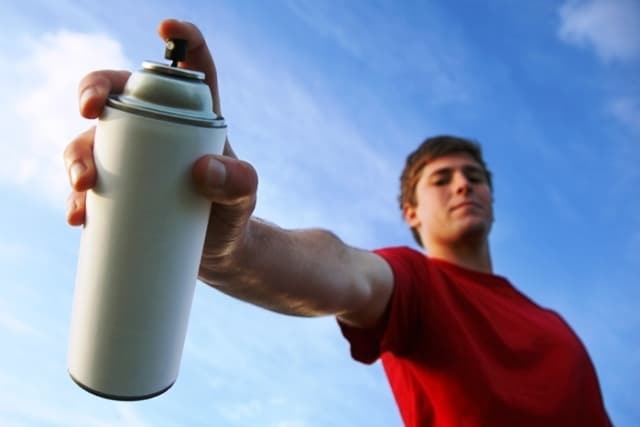 Inhalant users are often teenagers, whose siblings may also have substance abuse problems. Family therapy is therefore a common part of the treatment plan for these patients. Aftercare or extended care for inhalant abusers can take on an outpatient basis after they leave their residential facilities. Contact us today at 1-888-319-2606 Who Answers? for information on recovery after an inhalant overdose. We can help you 24 hours a day, seven days a week.